Nice, the beautiful capital of the Cote d’Azur, is a deservedly popular and superbly glamorous holiday location. 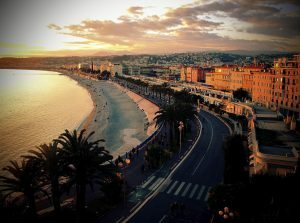 At HB Property, we’re here to help you find the perfect holiday apartment in Nice for your stay. Our holiday rentals and apartments in Nice offer the luxury that befits the city, one that is elegantly curved around the breathtaking Bay of Angels. Whether you wish to take in the refinement of the bay area and its superb, opulent promenade, or do as the real Nicois do and roam around the old town, there is a wealth of scenery, cuisine and culture to discover, all of which has a sense of decadence that is quintessential to the French Riviera. 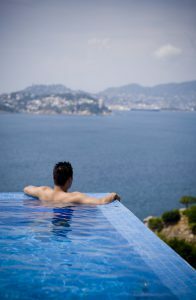 We alleviate the stresses of booking, arriving and leaving your apartment in Nice. We pick you up, show you around the expertly cleaned property (we also take care of this when you leave), and provide you with everything from linen and kitchen essentials to local wine, fresh coffee and spa quality toiletries. If you’re getting in late, we can arrange for more items to be stocked, including fresh juice, bread, eggs and cheese, or even some champagne! Our expert team are always on hand to help should you need them – it’s all part of the HB Property service. As our apartments are residences, you can expect a more authentic, but no less luxurious experience. You have the freedom to do as you choose without having to adhere to a schedule. Our team ensure that you have all the luxuries and conveniences that you should expect from a holiday in this beautiful Mediterranean city. Nice – a beautiful, inspiring city it undoubtedly is. Celebrated for centuries for its outstanding scenery – which mixes dramatic Alpine horizons with serene, deep blue ocean – architecture and culture, it has been a particularly fashionable location for many, many years and had attracted artists from Marc Chagall to Henri Matisse to its shores. This is reflected particularly in its outstanding galleries, including the Musee Matisse and the Musee des Beaux-Arts, but a wander along the Promenade des Anglais, or a walk around the flower market on the Cours Saleya, is all it takes to notice that Nice is art in itself. So, however long you are staying for, and for whatever purpose, get in touch = with HB Properties today, and discover the beauty of Nice.